In Missouri, a police officer was killed while responding to a 911 call recently. Fallen Officer Christopher Ryan Morton had just come back on the job to replace another recently fallen officer in his department, officials said. Morton was killed by gunfire as he and two other officers responded to a 911 call at a home located 75 miles outside of Kansas City according to the Missouri State Highway Patrol said. Morton worked for the Clinton Police Department between February 2015 to January 2017 and worked as a reserve officer but he recently came back to full duty after fellow Officer Gary Michael was shot and killed during a traffic stop last summer. 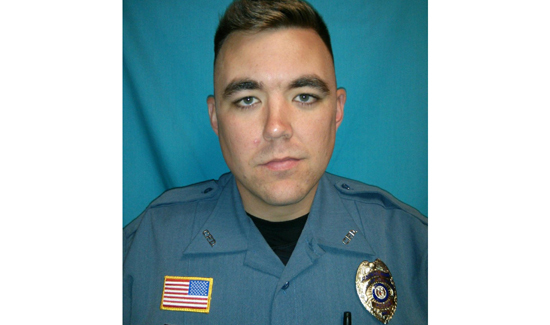 “Clinton, MO, Police Officer Christopher Ryan Morton, served with distinction for the citizens of Clinton as a full-time Police Officer from 2/12/2015 until 1/10/2017. He stayed with the department as reserve officer until he returned again to full time duty 9/24/2017. #ClintonPD,” Missouri State Highway Patrol tweeted.